The wildfires ravaging Northern California and its famed wine country will have a devastating effect there. But Purdue’s Professor of Food Science Christian Butzke expects little impact in Indiana. Bordelon added the disaster could aid future harvests. 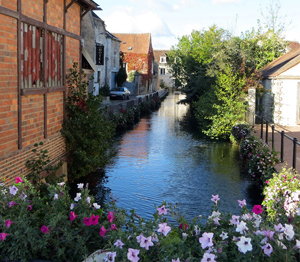 The large wine regions have had considerable labor shortages at harvest time. Bordelon said most new plantings could be set up for as much automation/mechanization as possible. Paradise Ridge winery was one completely destroyed on the first day of the fires. The winery’s owner Rene Byck has visited Purdue to help judge the annual wine competition. Fortunately, Butzke added, the biggest part of California’s harvest should be complete by now with the wines safely aging in barrels. The damage to any remaining fruit, especially late-ripening Cabernet Sauvignon, could be significant because of the wine’s high market value. Barring further damage, neither professor thought there would be much price impact in Indiana when the 2017 vintage is released. Both lamented the terrible tragedy, loss of life, and damage to homes and businesses. Could Southern Ind. be next Napa? No, Southern Indiana will not, and cannot, be the next Napa Valley. Geez! After more than 200 Grape Sense columns over eight years, it’s time for a rant. Get a glass of something bold like a California Zin, a Central Coast Syrah, or Ted Huber’s Bordeaux-style blend called Heritage. In the last few months a couple of newspaper pieces on “Indiana wine” have surfaced in Midwestern media. The most recent Indiana wine story appeared Feb. 28 in the Louisville Courier-Journal. That story featured the headline I’m mocking above. As a 20-plus year newspaper veteran and 8-year wine writer, it’s important to note that almost all newspaper headlines are written by copy editors and certainly not writers or reporters. The headline, and unfortunately the story, does little for the Indiana wine industry. And even worse, does little to inform readers about Southern Indiana wine. There is nothing wrong with a puff piece when you get little media attention. But in theory the writer got paid for the story and the newspaper took it as a credible feature. Who are those locals who say some of the ‘best wines’ come from the rolling hills of Southern Indiana? It’s certainly not a single winemaker or consumer in Southern Indiana because none are quoted in the story. Who is the mystery source so enamored with Indiana wine? There is an argument to be made, by an old newspaper curmudgeon perhaps, that the headline was condescending. The story’s writer did quote one winery’s marketing representative. There was a single quote from Purdue’s Bruce Bordelon about Indiana’s growing season. That’s a good and authoritative source. The author also quoted the Wine and Grape Team’s new state marketing spokesperson, a very recent college grad, who added that Indiana is a very nice place. The story, which you can read for yourself here, doesn’t say anything quantitatively or qualitatively about Indiana wine. The truth is there are some very good wines being made in Indiana and particularly down south. Will they ever be as good as Napa or Bordeaux? Wine is about the region where it’s grown. Wine regions can be compared for contrast or similarities but wearing the ‘next best thing’ title doesn’t help anyone making fermented Hoosier grape juice. Indiana winemakers, owners, and marketing folks must be smarter than to fall all over any reporter for any piece of public relations. Those people need to offer up winemakers and winery owners for interviews. They need to do everything to get the writer or PR person to taste the wines and educate them what constitutes good Indiana wine. Well-informed wine writing can boost the Indiana wine industry. The puff pieces are better than nothing but when an opportunity arises to tell Indiana’s story, Indiana wineries must do better. Napa be damned! Give me a glass of Vignoles or Chambourcin, please! Is there anything better for those of us who love wine than a really, really great glass of juice? I do taste a lot of wine at price points up to $100, I’d guess. I buy some wine in the $40-$60 range and just a few a bit higher. I opened two great wines this weekend that just lights the inner fire to share these great labels and names with those who read my wine writing. Both wines originated in iconic U.S. wine regions – Napa Cab and Oregon Pinot Noir – and they rocked! V. Sattui 2007 Mt. Veeder Napa Cabernet -This wine comes from one of Napa’s most unique producers. V. Sattui, one of the region’s oldest wineries, only sells its wine from the tasting room or online sales through its website. It is one of the most visited wineries in Napa. I tasted through several of their wines during a March 2012 visit. The wines were consistently good. I remember liking a Zinfandel quite a bit before we got to the Cabs. The higher end Cabernet was excellent. I narrowed it down to a couple and purchased a bottle of the Mt. Veeder Cab for $48 which is now listed on their website for $53. The wine is rich and supple with uber smooth tannins, hints of all sorts of dark fruit like cherry and currants. It is a bit softer than many Napa Cabs which is part of its attraction. The eponymous Mount Veeder peak is 2700ft (825m) high, and marks the boundary between Napa and Sonoma counties. The appellation’s highest vineyards lie on a south-west-facing slope just below the summit, and stretch up to 2630ft (800m). Located five miles (8km) north-west of Sonoma town and half that distance again from Napa town, Mount Veeder lies equidistant from the two valleys which are arguably the most important in the United States. This young lady appeared as we finished tasting! The bottom line is absolutely great Cabernet at a half, or less, the price of many premier Napa Cabs. V. Sattui is a good stop for any first time Napa visitor. They have large deli where all sorts of cheese and other foods are available. There is plenty of room outside to have your own picnic. Some snobs turn their collective noses up at places like V. Sattui but it’s perfect for the first time visitor. The staff was very friendly and knowledable during my visit. They also have a little fun. Plenty of tasting rooms are very welcoming. But many of the upper end wineries certainly can come off as a bit snobbish. The people here depend on tasting room sales and they know. Staffers make the tasting room experience fun. 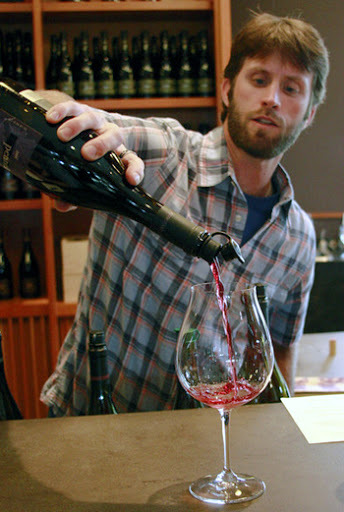 Penner Ash 2009 Dussin Vineyard Pinot Noir – I love Pinot Noir and have grown very, very fond of Oregon Pinot. I opened this with a good friend who really appreciates Pinot and we were both just blown away. I picked up this bottle during a summer 2012 visit at the Willamette Valley winery. Lynn Penner-Ash is certainly an icon in Oregon winemaking. This is the top of her line of great wines. They are widely available (including in Indiana.) You might have trouble finding this particular bottle but her other offerings are worth a search. This is a small production wine with usual production around 500 cases. 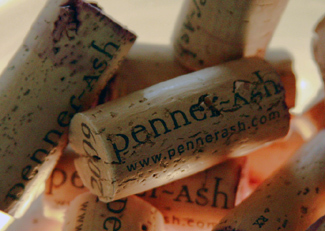 The 2010 is the only Dussin Vineyard on the Penner Ash website and it’s listed for $60. My memory fails me but I felt like I paid closer to $70 for this bottle. It was worth every hard-earned nickel. Penner Ash tasting room action. Wine Spectator gave the wine 92 points and I couldn’t agree more. I might even go a point or two higher. The wine is almost floral with it’s rich and silky dark fruit. It’s very smooth and enjoyable on the palate with the depth and complexity a serious wine drinker would expect at this price point. 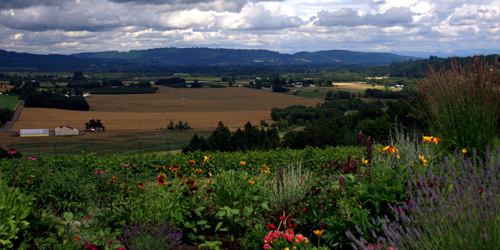 The 2008 Oregon vintage was hailed as one of best in years. I tasted the 2009 early after release and was generally unimpressed. But when I tasted the ’09s a summer ago was really taken by the bold fruit and silky qualities. Frankly, I have several favorite Willamette Valley producers and this bottle added Penner Ash to the list. There are lower entry points for price and they are worth a try. This particular wine is a great example of how you can buy awesome Pinot Noir without paying Burgundy prices. Penner Ash 2009 Dussin Vineyard Pinot Noir, $60, Very Highly Recommended. All photos in this post by my friend Drew Casey, who is now a tasting room associate at Chateau St. Jean in California’s Sonoma County. Being way behind on wine mentions/reviews, time to catch up. Here are some thoughts on really easy to find California Cabernet and Italian Chianti. I’d argue these are two wines you should always have on hand. A nice, easy-to-drink Cab for beef and a nice Chianti for pasta of fava beans in case Anthony Hopkins is a dinner guest! Robert Mondavi Central Coast 2010 Cabernet Sauvignon – This wine is available, most probably, in your supermarket. Frankly, for $11 or less, you can do much worse. This wine does not have strong Cabernet characteristics but its quite drinkable. And after all, isn’t that always the real test? The wine is 88% Cabernet Sauvignon, 5% Syrah, 3% Merlot, 2% Petit Verdot, 1% Malbec and 1% Cabernet Franc from California’s Central Coast. It’s soft, It;s red. It tastes pretty good. I drank this wine with some mildy spicy pasta and then with some chocolate and found it enjoyable. I love wines like this because they are easy to find and easy to drink. Mondavi has repackaged this line with a focus on Central Coast fruit. The Mondavi Private Selection remains one of the best values for drinkability in the supermarket and elsewhere. 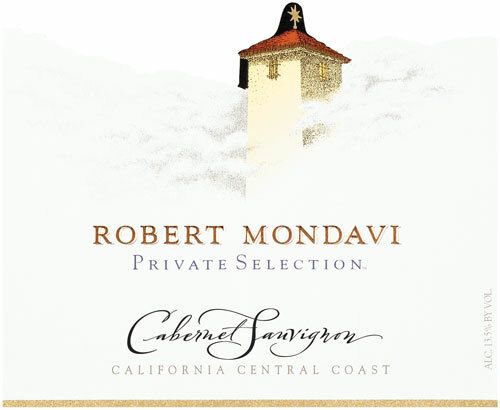 Robert Mondavi Central Coast 2010 Cabernet Sauvignon- SRP $11, (trade sample), Recomended. Try this wine for $9-$11. It works at that price point. Banfi 2010 Chianti Superiore – Wine Spectator gave this wine an 87 and that’s about right. This is much like the Mondavi above. Is it a true representative of great Sangiovese, well – not quite. Is it drinkable and enjoyable – well, yes it is! It has some cherry and a little astringency but a drinkable bottle of wine. If you have some pasta with tomato sauce or tomato based it will work well. This wine can be found really cheap and in lots of liquor stores and wine shops. There is nothing special about it other than its simple drinkablility without any negatives. For the price, go out and buy it. 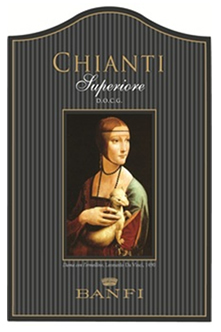 Banfi 2010 Chianti Superiore – SRP $11, (trade sample), Recommended Look around and you might find this bottle at $9-$10.